Thanks to all of you that participated in the 2016 Dash! Official results can be found at the link below. See you next year!" Join us on Saturday, July 2nd at 8:00am, for a 5K run or 2 mile run/walk; Chip Timing, high-tech shirt, food, drinks, festival, post-race tent, medals for female/male all age group awards. Registration at yellow and white tent at Malone Park, 16400 West Al Stigler Parkway. Are you travelling into the area for the National Dash? The Holiday Inn Express & Suites is offering a great room rate of $99! Click here or on the Holiday Inn logo to reserve your room! 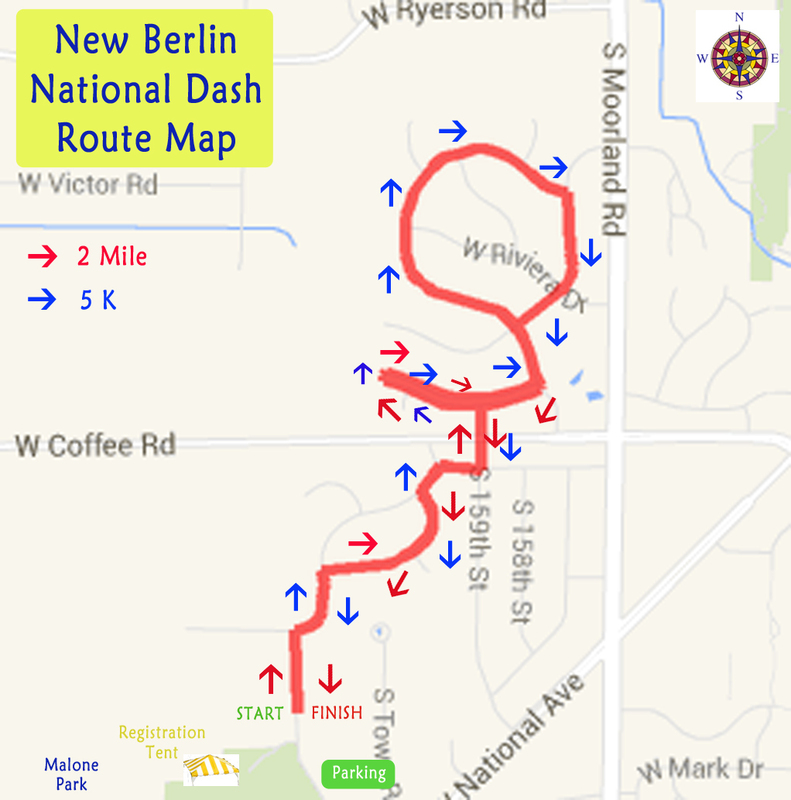 Thank you for your past support of the New Berlin National Dash, presented by the New Berlin Junior Woman’s Club. After having put on the Dash for 10 years, the NBJWC has decided to not move forward with this event. While it was a great way to bring the community together, the funds it raised were insufficient to support the number of hours put in by our Club members. Special thanks go out to our key partners over the past years including but not limited to North Shore Bank, ProCare Physical Therapy, Athlete’s Edge, Raven Sports, Spectrum Resources, Walgreens, Apple Ridge Academy, Wisconsin Athletic Club, The Skrypchak Group, New Berlin Veterans Memorial Society, New Berlin 4th of July Commission, Holy Apostles, Race Day Events, and the New Berlin Police Department.